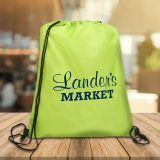 Custom drawstring bags offer great value for money because they offer large space for printing logo and other valuable business information. 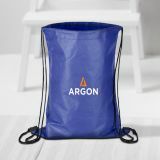 Your branding advertisements will travel far and wide over these personalized drawstring bags. 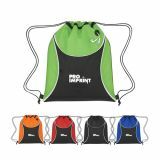 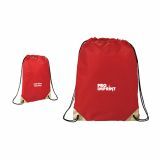 At ProImprint, promotional drawstring backpacks are one of the most selling low value item and are available in various styles, materials and colors. 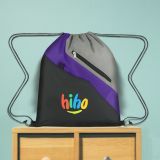 You can save on online design proof, shipping, and artwork because they are FREE. 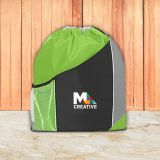 Personalized drawstring bags are promotional items used for any occasion and they are perfect to catch attention of your target audience. 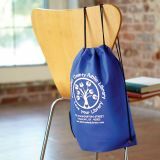 Drawstring bags allow you to come an inch closer to your customers in a very natural way because everyone is going to use them. 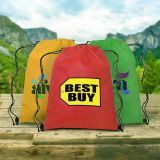 Being lightweight, affordable, and convenient, they are easy to carry. 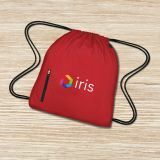 The biggest advantage of investing in customized drawstring backpacks is that they can freely promote your brand wherever the user goes. 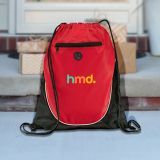 People would actually start thinking about your brand, whenever they see these custom drawstring backpacks. 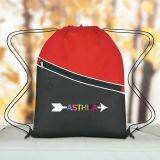 Available in polyester/nylon, cotton, non-woven / polypropylene and mesh pockets, our drawstring bags can proudly bear your logo/mascot, motto and contact address. 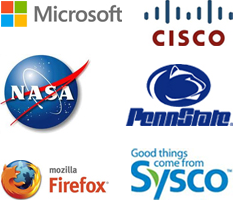 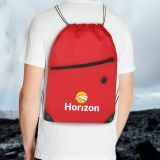 You can choose from a variety of designs, colors, and styles to match your requirements. 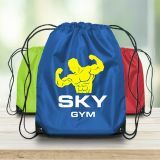 If your company is trying to attract mass audience during the next available opportunity, try pursuing them by giving away any custom drawstring bags offered at ProImprint. 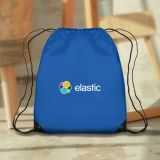 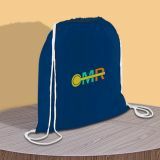 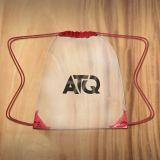 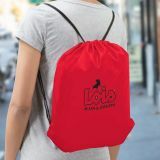 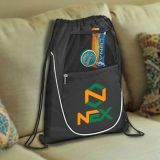 These drawstring backpacks/cinch bags allow you to make a big impact while remaining within the budget. 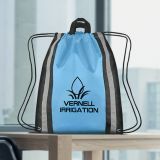 Many small and big businesses has approached ProImprint with a confidence that custom drawstring bags are going to offer them big and long term exposure on a one time investment. 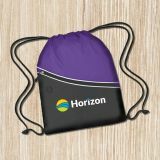 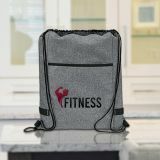 Personalized drawstring bags make great individual gifts for your family and friends during bachelorette parties, holidays, trips, anniversary celebrations, milestone events, birthdays, and even class/family reunions. 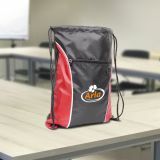 You can shop a number of fashionable styles or even go for brilliant insulated drawstring backpacks that help to preserve food during outing. 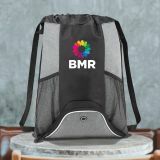 You can get these drawstring backpacks printed with messages, names, dates or unique images and fill them with small goodies offered at ProImprint. 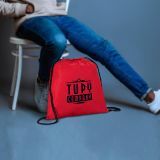 Your loved ones can never stop thanking and thinking about your welfare and they would definitely make it a point to carry these bags to the basketball court, shopping, beach, biking, yoga, hiking and several other adventure trips. 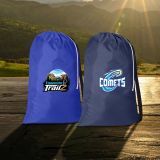 Order wholesale drawstring bags from ProImprint, in time for your tradeshow, corporate event, game day, grand opening of the school, anniversary and more. 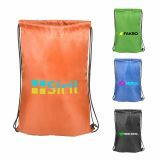 You can buy these promotional drawstring bags in bulk to receive discounts and they will become the reminder of great event. 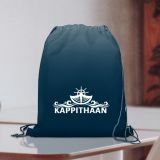 If you are perplexed on seeing such a vast selection, our drawstring experts can guide. 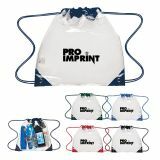 You can reach out to them at 844-776-4677 between 9AM and 6PM EST, Monday through Friday or if time permits, write to us at info@proimprint.com for further clarification.